Big Green Radicals created a new cartoon that illustrates Congressman Jared Polis’s radical, go-it-alone position on energy development in Colorado. 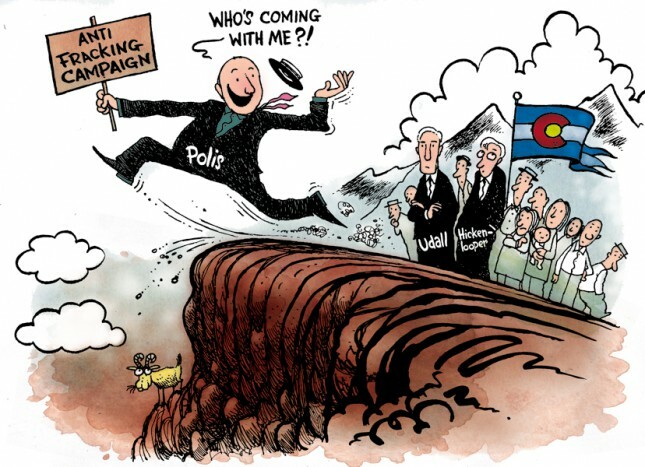 The cartoon illuminates how Polis’ positions on fracking are out of step with other leading politicians in the state and with the majority of Coloradans who favor responsible energy development – as poll after poll shows. Governor John Hickenlooper and U.S. Senator Mark Udall have expressed support for the technology and at least as of now seem unwilling to parrot Polis’s anti-fracking rhetoric.